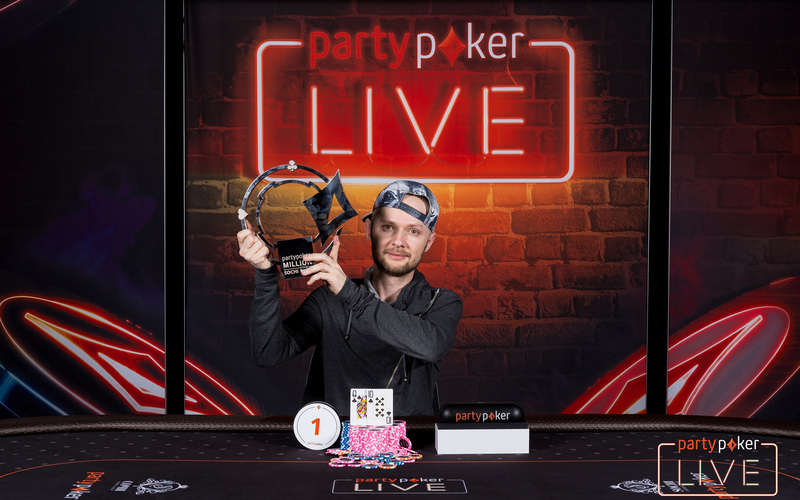 After competing in the biggest live poker tournament ever held in Russia, Dmitry Chop has won the record-breaking partypoker LIVE Sochi Main Event for $225,000. Don’t worry if you missed the fun in Sochi! It’s only three weeks until the £6m guaranteed partypoker MILLIONS at Dusk Till Dawn. MainEventTravel can help with all your travel needs for this premier event in Nottingham from April 18-23. A dominant force in the last few days of the tournament, Chop beat Lev Mnatskanyan heads-up to seize the $225,000 first prize and has now moved up to 12th place on Ukraine’s all-time money list. Even before the main Event began, Chop was quids in after finishing third in the $3k High Roller for $23,90 but last night’s victory now takes him close to $1m in live tournament winnings. Including online Day 1s, partypoker LIVE Sochi attracted a total of 1,170 entries, easily beating the $1m guarantee with a $1,134,900 prize pool. Among the 116 players to cash at the glamorous new Sochi Casino and Resort were Russian pro Roman Korenev, who was fourth for $60,000, and Russian veteran Mikhail Korotkih who was 8th for $15,000. The partypoker LIVE Million event was the biggest live poker tournament ever held in Russia and attracted top players from all over including partypoker Global Ambassador Sam Trickett along with East European stars such as Vladimir Troyanovskiy, Vitaly Lunkin, Dzmitry Urbanovich, Andrey Pateychuk, Dmitry Vitkind, Andrey Gulyy, Anatoly Filatov and Alex Kravchenko. PokersStars will be seeking to beat partypoker's impressive debut with PokerStars Championship Sochi from May 20-31 which is also being held at the spanking new and ultra-glamorous Sochi Casino and Resort. As well as the partypoker MILLIONS at Dusk Till Dawn, forthcoming partypoker LIVE events include partypoker Grand Prix Austria (April 6-10), partypoker Grand Prix Canada (April 25 – May 1), partypoker Grand Prix Dublin (April 28 to May 1) and partypoker Million North America (May 5-10).